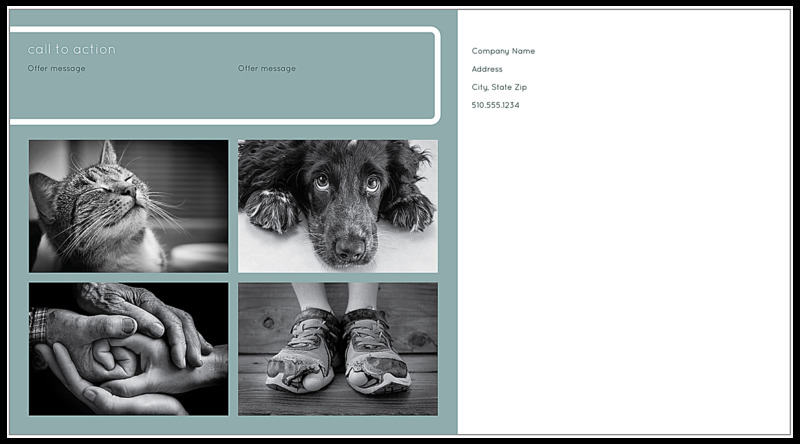 Donors will be happy to lend a helping hand when you use our That’s A Handful postcard design template for your next direct-mail marketing campaign. 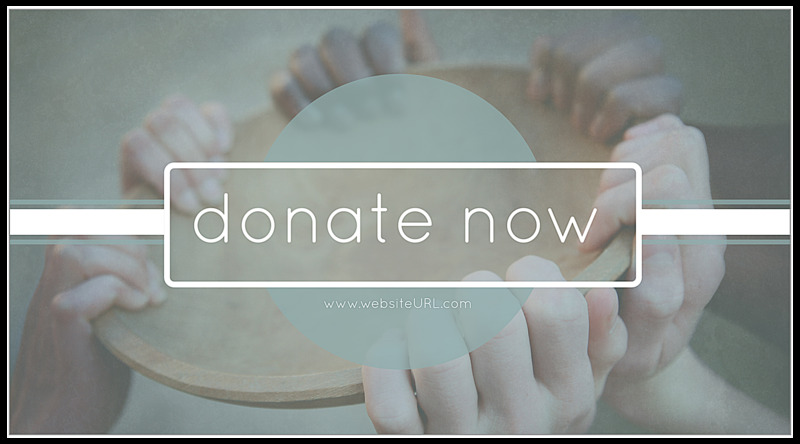 The front design lends a sense of community involvement with a background image depicting several hands supporting a collection plate; in the forefront, a large (and customizable) call to action lets donors know exactly how they can help. On the back, your call to action is repeated along with offer messages you can customize to tell donors why you need their help; all over four replaceable images that showcase the subjects and impact of your cause. Personalize your design with our online postcard maker, then print custom postcards in one of five different color schemes with That’s A Handful! Our online postcard design tool is the fast and easy way to customize professional postcard designs and make them unique to your nonprofit. Start by picking your color combination for our That’s A Handful template, then follow the prompts to swap your own photos and personalize your postcard text. It makes personalized postcard printing so simple! When you’re done designing, you can even download a PDF to share with team members before you send your artwork to print. Increase marketing efficiency with our fast turnaround and reliability; PsPrint is trusted by thousands of businesses every day to deliver premium postcards at affordable prices. We’re so sure you’ll love your finished postcards we guarantee your satisfaction! Print ultra postcards featuring triple-thick paper stock and an attention-getting stripe of edge color to wow customers at the mailbox. Or, consider adding a shiny, metallic foil stamp to your postcard design. Need custom printing services? Our team is here to help bring your ideas to life. We can even help you generate a mailing list and provide complete postcard mailing services to make launching a comprehensive direct-mail postcard marketing campaign easier than ever!